ONCE IT’S GONE, IT’S GONE FOR GOOD. 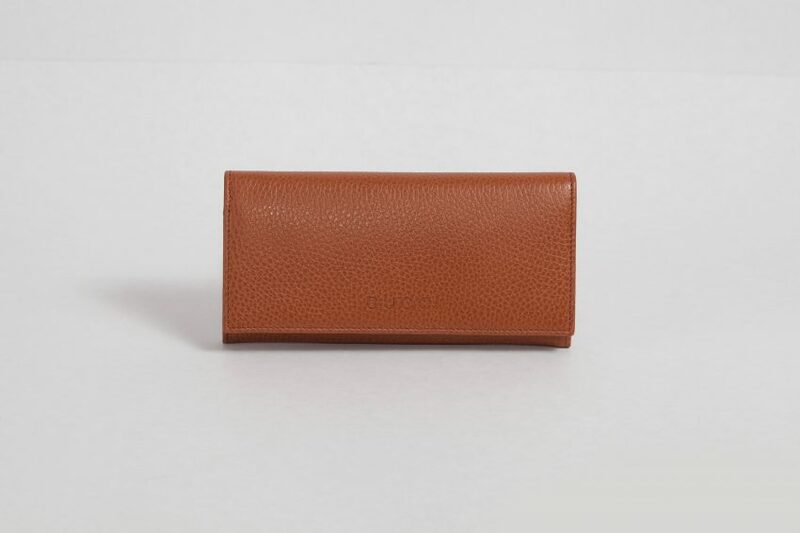 Not only has this stunning wallet by Gucci never been worn, but its reddish brown dyed calf is absolutely to die for. Through rigorous vetting of each wristwatch we carry, we are able to guarantee authenticity and sound, reliable mechanics. Ultimately, we’re obsessed with your satisfaction and everything we do is in pursuit of exactly that – so if you have any questions, no matter how large or small, please ask. We’ll always do our best to make every interaction and transaction, well, perfect. Mechanical Guarantee: By thorough inspection and service by our veteran watchmaker, we keep a high standard of quality here at T&H. Each watch is guaranteed by a 30-day mechanical warranty so if anything goes wrong, please let us know immediately. But whether you run into a complication two days after the sale or two years, we’ll be here for you. That being said, please keep in mind, due to the nature of vintage watches, we expect reasonable treatment of all watches by their owners. So please, no vintage watch swimming. It’s simple. We don’t want you to have a watch that you don’t love. So, we will always give you three days to love or return your Theo & Harris wristwatch, no questions asked. Naturally, all returned wristwatches must be in the same condition as initially shipped. Insured shipping for returns must be paid for by the buyers and buyers assume all risk. Once received, 90% of the original purchase price will be immediately refunded. For straps, goods and T&H gear, full store credit is issued upon completion of return. Our watches love to fly, and we ship vintage watches all around the world on a daily basis, insured and packed securely. Below you’ll find a list of the countries we ship to and their corresponding levels of insurance. To inquire about duties, insurance, shipment time and more, use the inquire button above! I've been a T&H client for just over two years now and my experience has been excellent every time. Besides the great products, another thing that brings me back again and again, is the level of communication. I'm in California but communicating with T&H in Jersey is easier than communicating with my local watch shops. Transactions are always easy and without surprises. EXCELLENT EVERY TIME!!! T&H is one of my favorite online retailers period. 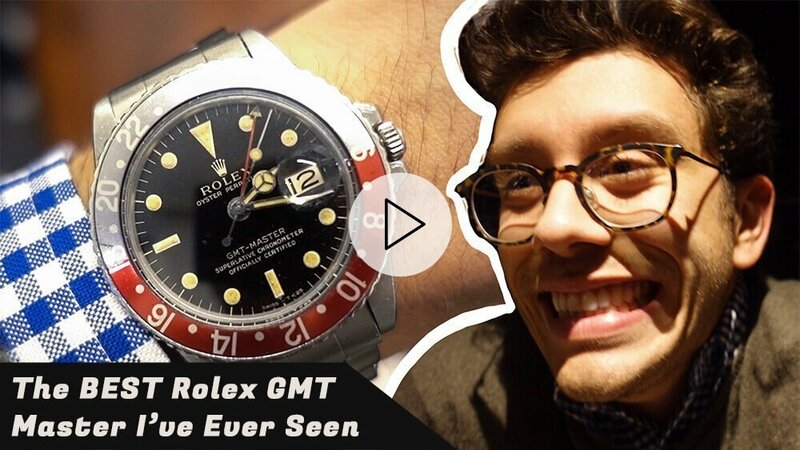 Ive had multiple positive experiences with them and recommend their online vintage watch shop and content to friends regularly. They really go above and beyond to educate and provide unreal customer service. Knowledgeable, accommodating and genuine. What else can I say..
Great products and outstanding customer service. I e-mailed them with questions and concerns, which was answered promptly through e-mail and instagram. Would definitely purchase more straps from them in the future. If I were to ever purchase a vintage watch in the future, I will go through Theo and Harris for I know I'll be in good hands. Got my type One strap here. Real cool quick release strap that elevates my sarb035 to another level while remaining elegantly subdued. Zach & Jennifer were responsive to my questions prior to purchase & followed up to see how I liked the strap, which is a nice personal touch. Recommend the strap and the people at T&H. Purchased a Jean Rousseau "Type 1" watch strap and I love it! Christian responded to my questions quickly. Fast shipping too. I purchased the Type One leather strap from T&H, and it's absolutely gorgeous. The quality of the leather is unmatched. The beautiful contrasting stitching makes it a real eye catcher. This was my first T&H purchase, but it definitely won't be the last. If you think leather watch straps are "all the same," you're dead wrong. Once you get a taste of a premium strap, it'll be hard to wear anything else on your wrist. Definitely worth every cent. I found Theo & Harris on YouTube while I was doing research online. I went to their website since I wanted to see the products they offered because I was in the market for a strap to refresh the look on my Rolex DateJust. I saw a really nice black pebbled strap called “The Crosby” so I decided to order it. Communication with the T&H team was easy and the shipping was quick. The strap is beautifully constructed with premium leather and is totally worth the premium price. Its given new life to a 20 year old watch. I get compliments on it all the time from colleagues and clients. When they ask where it’s from always recommend they visit T&H. I look forward to picking up their “Type One” strap and one of their timepieces soon.5/5 Highly recommend and will shop again. Christian and the team do an amazing job providing quality products and content on YouTube. The team's passion which includes Jennifer, Anna, Rollie and the production crew make watch collecting enjoyable. I've purchased several straps and leather products from T&H and all have exceeded my expectations. When the right vintage watch shows up in their inventory, I will definitely buy it from this team. Keep the fire burning T&H. I had been a fan of Theo & Harris for a while before I purchased my first timepiece from them a few weeks ago. Incredible customer service. Christian is trustworthy and always quick to respond. Would highly recommend if you’re on the hunt for a quality timepiece! Highly recommended, top notch-products and service. I ordered a beautiful Type One strap for a vintage Datejust, but I mistakenly ordered the wrong size, too small for my wrist. T&H worked with me to quickly exchange it for the larger size with zero hassle and personal attention. The replacement strap fits perfectly, and the quality and style is everything I hoped it would be, just perfection and totally unique. Will definitely buy from T&H again. Thank you! I have had the opportunity to interact with the great team and T&H on several occasions and was looking forward to my first purchase. Well, now that I have that purchase in my hand, I can, without a doubt, recommend this company for anyone looking for quality vintage goods, and exceptional customer service! Thanks again, and I look forward to my next purchase! T&H are vintage watch gurus! What you see and they describe is what you get. Fast and knowledge service. I love the Omega sea master and Rolex datejust I bought! Excellent people, excellent products. Five stars all the way. Absolutely great service and the JR strap I bought was even more than I hoped for. T&H has a great selection of vintage watches, as well as the highest quality watch straps you can buy, made by Jean Rousseau. Christian has great style, and you can tell that he really puts everything into this company. He also puts a lot of great watch-content up on the Theo & Harris Youtube channel. Every transaction is handled very smoothly and emails are responded to promptly by Jennifer, the office manager. So far, I've purchased one watch and several straps from T&H--everything has been great. I feel compelled to leave a review due to the exceptional service from the Theo & Harris team. the customer service from Christian and his family/associates is absolutely second to none and something rarely found in a business today, not only is Christian approachable for any questions or queries you may have, he is certain to treat you with the upmost respect and courtesy whether you buy a product or not.If you're looking for that special vintage piece you've been lusting for then look no further, cannot recommend T&H's products highly enough! If you're looking to get a great vintage watch, Theo & Harris is the place to go to. Their customer service is just outstanding. Highly recommended! Bought a type one strap it’s awesome!! Service was great!! Arrived fast and received a follow up email.. This is my second strap from t&h and love them both. I’ve also sold watches to t&h and met up with Christian a couple times.. Great guy great prices for my watches. When business was done had a couple of drinks... consider him a friend now not a guy i do business with...Thanks Christian.Look forward to future meetings... this time I’ll be buying a watch!!! I recently purchased a T&H original design T-Shirt and I must say it’s one of the best quality T’s on the market. The softness of the cotton; the lay of the shirt after washing and drying it and it keeps its shape.It’s a conversation starter almost everywhere I go. My recommendation is, order one for yourself and another for a special friend or family member. First off, I’d like to say that the quality of the GMT shirt I purchased from T&H is out of this world! Secondly, the quality of the customer service provided by Christian at T&H is second to none. I’ve followed this guy on YouTube and IG for sometime now. Being my first experience making a purchase-I can say with certainty that there will definitely be a second! My wife needs a watch and I think I know where I’ll be buying it. Amazingly beautiful quality, 100% worth the price, and unparalleled customer service. Got my order right on time. Highly recommend. No need to buy anywhere else! I purchased a vintage timepiece from Theo and Harris and despite the watch being “as described,” I had second thoughts and decided to return. Christian and team helped facilitate the return without any issues and were responsive along the way! Excellent service and super easy to deal with. If you're in the market for a vintage watch... This is your guy. Their collection of vintage pieces are really special, and their personalized service is really second to none. Whether you're looking for a watch, a strap, or just wanna talk shop, T&H is a homerun... you won't be disappointed. I cannot be more happier than I am now since I purchased two watches from Theo & Harris. The Rolex and the Omega are better than described and are very much loved in my home and wrist and by my friends.The whole process has been a pleasure. Prompt shipment was much appreaciated. Follow up to ensure satisfaction was received and received my 5 star approval.I also look forward to the social media post of this company and eagerly await emails of the next acquisitions to the watch shop. First class. I an looking here for my next wrist hanger, for sure. I've purchased two watches from T&H, both from the 1950's. They're working great. No complaints. Bought a great vintage watch and a new watch strap from Theo and Harris. Watch was as shown in pictures, and delivery was timely. JR type 1 leather strap was the best quality calf strap I’ve ever used. Highly recommend T&H for vintage watch or strap purchases. Bought my first vintage Rolex in celebration of my success thus far in college. I ordered it right before class then two days later I received it. The watch is even more beautiful in person than it was in the pictures. The T&H team is fantastic and, in my opinion the best vintage watch retailer out there. I say this because of how transparent the team is which eliminates the gray areas (Ebay and Chrono24 don't even come close)! If you want to be a part of the WatchFam, then go check out Theo and Harris on YouTube! You never know what's going to pop up in the shop! I purchased a Porsche Design by Orfina a couple of months ago from the shop and I couldnt be more content. T&H is a small business so the process of purchasing the watch was super easy and reassuring because the staff reach out to you and have great communication along the way. Looking forward to the next watch that I'll buy from T&H! Bought a vintage Omega Seamaster from Theo & Harris for my husband as my wedding gift to him. It's absolutely beautiful and he LOVES it. I wanted a different strap and Christian was able to swap it out for me before sending it. Thanks for all the help and the beautiful watch! My experience of buying from/selling to Theo and Harris has been first-class - way ahead of a lot of the young watch dealing business on the Net. Christian is very knowledgable and a pleasure to deal with. Delivery is speedy and the product was exactly as described/photographed. Buy with confidence. Purchase was an absolute breeze, shipping was super fast & the watch was top quality. These guys are really approachable & quick to answer any questions I had. Definitely recommended for your vintage watch needs. I will shop with them many more times in the future. I had a great experience buying from T&H. Shipping was fast, all my questions were answered quickly. 5/5 Thanks!! Absolutely stunning! Although the pictures on T&H are awesome, the Omega Seamaster is even more amazing in person. Thanks for curating such a unique selection of vintage watches. The shipping was very fast and upon receiving the watch, I did notice minor mechanical issues (watch was running a bit fast). However, Christian was quick to help out and covered the servicing required. Now the watch is running perfectly! Will definitely come back for more! Passion for the business. Simply put, that's what Theo & Harris is all about. From great content, stellar vintage watch options, and incredible watch straps. Every aspect has been considered and as a customer, nothing brings a smile to my face than that sort of thing. They care about everything they sell so much that you know what your buying has met the detail standards of a watch fanatic. I purchased a watch strap and will definitely be coming back for more. Although the way things turned out I never bought anything from T&H it didn't stop Christian from giving me the professional, and most importantly personal, service that I would have expected to receive if I was to buy something like a Lange. I would not go to anyone else if I knew that T&H could do it for me. There is no alternative to the service and quality of Christian and the fine work he does. UPDATE: Christian communicated the situation from his side. The fact that he put such detail into his response does show that he care. He did seem to take my feedback to heart and did get me a full refund. I would at least consider shopping for watches here again since it is such a solid collection of vintage watches.Changed score from 1/5--Original Review--Absolutely do not trust Theo & Harris with your busiuness.I bought a nice Tudor Prince Oysterdate from the team and absolutely loved it. That is until I realized it was losing about a minute and a half a day. So Christian from the T&H team gladly offered to pay for it to be regulated, as it probably got bumped in shipping. I took it to a well reviewed local watchmaker who said that actually the watch wasn't beating as fast as it should, which generally indicates a significantly larger issue. Christian offered to get it fixed up free of charge. So, I send it out, they get it on Feb 22. Weeks go by and I don't hear anything about watch repair updates for weeks, even with me emailing once a week, asking for ANY info. Eventually March 30th rolls around and Christian tells me that his watchmaker has just randomly up and left. He offered a discount on a watch strap for the inconvenience as well as offering to send my watch back unrepaired.At this point I realize that it will probably take them a few weeks to find a trusted watchmaker and get the watch fixed again. I say that if they can fix it within the next 2 weeks, I'll take the watch back or otherwise I just want a full refund.Here we are on April 9th and I have heard nothing at all back. I'll be calling Chase in the morning to dispute the original credit card charge. I would not do business with Theo & Harris again. It's just so disappointing because their site has such a great selection of vintages watches. They just either are a fraudulent company that don't care about you once they have your money or just are absolutely poorly operated. Either way, I recommend you taking your business elsewhere. My experience with T&H was great, every question was answered properly, the watch was exactly as described and shipping was prompt and very secure. Definitely will buy again once I'm able to save for a 1601. My purchase and overall expierence with Theo and Harris was absolutely wonderful. I sent in an email inquiring about doing a trade plus some extra cash. Christian responded very quickly and a very fair deal was made after some research on his end. I paid on a friday and the watch was delivered on the following Tuesday. I am absolutely thrilled with the watch and the overall buying experience. Christian was so very helpful and quick to respond to any question that I had. I think that I was impressed the most by the care and service that was provided. The only partner I trust to provide the best examples of vintage watches.I have partnered with Christian at Theo & Harris for just over a year. I've purchased several watches from him and each has been an excellent value. I've even partnered with Christian to resell some of my vintage pieces as I made adjustments to my collection. Christian is consistently a wealth of information, truthful in his approach, dogmatic about what's a solid value and what is not. I couldn't ask for a better parter to source quality vintage time pieces. The business mantra of T&H to provide an experience far and above the simple purchasing of vintage time pieces shines through with each experience.I am happy to report I've just purchased my next vintage piece from him and don't expect to stop anytime soon. First-class operation. Christian and team place a high premium on earning trust and they make sure you are satisfied. Received personalized follow-up after the sale, and my entire experience was excellent. Highest marks! Thank you T&H! I recently purchased a vintage birth-year Omega from them and it went as smooth as the sweeping seconds hand of a Seiko Spring Drive. Price was market price and the condition of the watch exceeded my expectations. Obviously it's not perfect since it's a watch that's over 30 years old but great for its age. Delivery was prompt and only took a couple of days to arrive in Hong Kong. Any answers were replied quickly and Christian was extremely helpful. Definitely recommend. I have nothing but great things to say about the watches sold by Theo & Harris as well as the customer service provided by Christian and the T&H team! It is clear that they care about what they do and, perhaps more importantly, about their customers. After quite a bit of searching, I purchased an amazing vintage Rolex from T&H, and I could't be happier with the result. It is a beautiful watch, and the purchasing process couldn't have been smoother. If you are hesitant about purchasing a vintage watch online, you shouldn't be. Everything is as promised, and judging by their continued success, I am certain that they will be around a long time. I would certainly buy another timepiece from them, and have already recommended T&H to friends and colleagues interested in buying a vintage watch. Keep up the great work, T&H!!! !